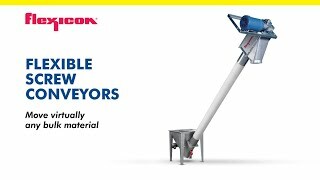 Recently, SPEC developed a dry pickle spice conveying and blending system for a global food producer to increase production rates and lower labor input when compared to the facility's previous process. 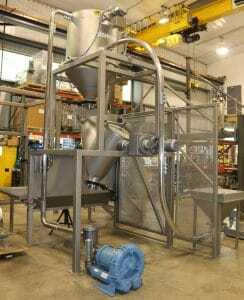 This system uses pneumatic conveying to transfer the various spices to an eight cubic foot V-blender. The V-blender mixes the spices with variable speed control and timed batches for thorough spice homogenization. Product is then directed out of the blender into totes on pallets for storage and use in the pickling facility. View some of SPEC’s capabilities, along with project highlights that showcase each capability in customizable designs!